Unless expressly modified in writing the following terms and conditions shall apply to all sales between Double 8 Holdings Ltd (the Company) and the Buyer by purchase and supply of goods and services. 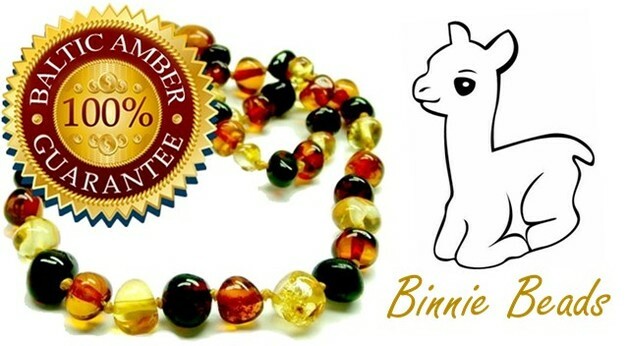 Under NO circumstances are any of Double 8 Holdings Ltd products, whether our own brand: Binnie Buddies or any brand in our catalogue/ranges are to be sold on TRADEME or E-Bay or any other auction website here in New Zealand or Overseas without express written permission by the company. (a) The First Order will be Proforma and is to be at least $150 excl. gst and is subject to current freight charges. All Orders will be Proforma and are to be paid by Bank Transfer or cleared Cheque before goods are released/delivered unless Credit Application has been completed and cleared by company. (b) Prices are subject to change without notice and goods will be dispatched at the ruling price on the day of dispatch. Reference to recommended retail price is a guide and there is no obligation to comply with this recommendation. However, if the Company deem that the prices set by you is detrimental to the brand of the product, the Company reserve the right to stop terminate the contract and stop supply. (c) Prices exclude Freight, G.S.T. and other taxes or levies all of which shall be charged on invoice at the current rate/s. (d) Orders are considered and only accepted as "Wholesale Orders" if over $75 excl. gst after your initial order. (e) Customers who do not place an order within a financial year will have to re-register as a new client - refer to (a). (a) Payment of the purchase price and all other amounts in respect to each order is due on the 20th day of the month following the date of invoice or delivery whichever is earlier. (b) The Company reserves the right to charge $5 per month administration fees if an account is overdue by more than the 30th of the month following the invoice date. If after 60 days of supply, no payment is received then we will stop supply, and if after 90 days payment or contact has not been made to the Company then we will pass the debt to a collection agency. (c) Any debt recovery costs incurred, including solicitors costs, Liquidation costs and stopping the supply of Goods and Services will be to the Buyers expense. (d) The first order has to be paid upfront by cheque, cash or bank transfer. After the credit application has been filled out and checked and if all is correct then the second order will be on credit up to a set limit. (e) I don’t have a PayPal account - No problem – you absolutely do not have to have a PayPal account to purchase any of our products. PayPal is our payment processing company – we use them so that you can securely submit your credit/debit card information and we never see it.To complete your order without signing in to PayPal, simply choose PayPal as a payment method, then click on “Don’t have a PayPal account?” or “Click here to pay with a debit/credit card” right below where it asks you to login to PayPal. You can then proceed with entering your payment information without signing in to PayPal. After you have entered your payment information, PayPal may ask you if you want to set up an account. You can decline this offer by clicking on the button on the bottom right, then complete your purchase. (f) All Credit Card payments will incur $0.50 plus 3.5% fee. (g) No cheques are accepted for payments unless prior agreement in writing from Double 8 Holdings Ltd and with a fee of $2.50 per cheque added to total. (a) The Company shall not be responsible for any failure to deliver, or delay in delivering caused by any Act of God, war, industrial stoppage, natural disaster or any other event beyond the Company’s control. (b) Freight will be charged at Courier Post or NZ Post (plus Rural if applicable) cost with a minimum of $6.50 per order. All Freight and Handling charges are subject to GST. Unless advised otherwise goods not available for shipment at the time of customer specified delivery, will be put on back order and supplied when the goods are available. Invoiced goods are only intended for the invoiced party. Trans-shipping of goods to un-authorised store locations or third parties is strictly prohibited. The Company warrants that the goods supplied by the Company are free from manufacturing defects and will repair, replace or refund an appropriate portion of the selling price at its option with liability being limited to this extent. The Buyer shall ensure that it’s own Terms of Trade it excludes liability both to itself and the Company under the Consumers Guarantees Act 1993. No warranty REPAIR OR REPLACEMENT will be carried out unless accompanied by the valid RECEIPT of purchase. Buyers premises without notice for such purpose in the event of any default in payment. (b) The Buyer grants to the Company a security interest in all goods supplied under this contract, and their proceeds. At the request of the Company the Buyer will execute any documents and do anything else the Company requires to ensure that the security interest created under these terms and conditions constitute a first ranking perfected security over the goods and their proceeds of sale and the Buyer will supply all information the Company requires to complete the financing statement or a financing change statement. The Buyer waves any right to receive a verification statement under the Act. The Company and the buyer agree that sections 114(1)A, 116,117 (1)(C), 119, 120(2),, 121, 125, 126, 127, 129, 131,133, and 134 of the Personal Properties Act 1999 do not apply to the security created by these Terms and Conditions. (a) Claims for shortages must be made within 7 days of delivery quoting the invoice number, quantity and description of the short delivered goods, and delivery date. (b) Claims for breakage or loss in transit must be first made with the carrier, under the terms of the Carriage of Goods Act. (c) Returns due to Buyer error in ordering, will be accepted, providing the Company is advised within 7 days of receipt of the goods; and the goods arrive back in a saleable condition with associated costs for the return being the Buyers responsibility. The Buyer authorises the Company to obtain and supply details for statistical and credit reporting purposes. These terms and conditions of sale can only be varied by agreement in writing between the two parties. This contract is to be subject to and governed by the laws of New Zealand and Internationally.